The Big Al Library Volumes 1 & 2 contains some of my most popular audio products and reports. See for yourself how easy network marketing can be, once you learn the skills. Now you can learn every magic sentence, every story technique, the “One-Minute Presentation,” super recruiting skills and more. This is the best way to learn the “how-to” skills necessary to move you to a full-time income, and then to the big incomes you dream about. Learn proven, tested, exactly-what-to-say methodsto build your organization fast. Attract, educate, and sponsor more prospects into your opportunity now. Eliminate rejection, calling cold leads, or other uncomfortable ways of trying to build a business. Get inside your prospect’s head, and speak directly to his heart and mind. You’ll get 36 Big Al CDs. It all adds up to a super value on a super package to help you build your business now. Are you still struggling in your network marketing business? It’s time to get the tools you need to make your business a success! 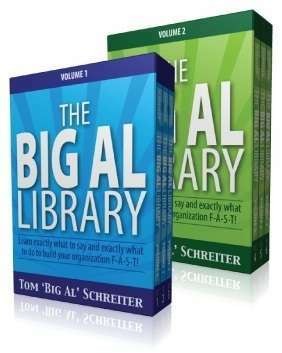 Big Al’s How to Quickly Build Your Network Marketing Organization. 10 audio CDs. This audio program includes the How to Give a One-Minute Presentation audios. Big Al’s Learn the Secret Language of Prospects (Colors) CDs. 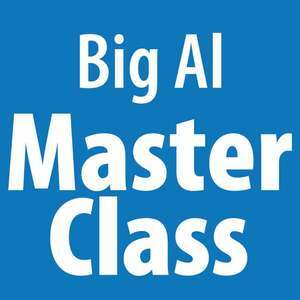 This is a live Big Al workshop. 2 audio CDs. 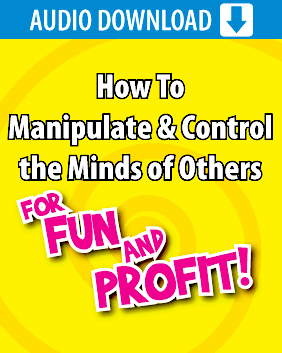 Big Al’s How to Manipulate and Control the Minds of Others for Fun and Profit CDs. 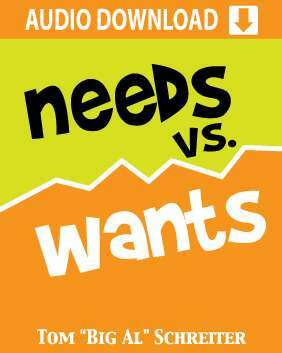 Big Al’s Needs vs. Wants CD. One audio CD. 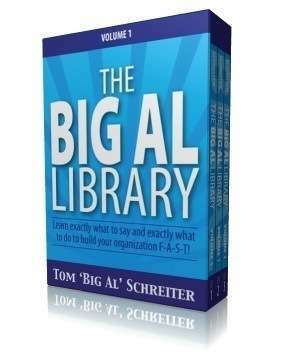 Big Al’s Stories to Help Your Prospects Believe audio CD. One audio CD. Big Al’s How to Find Hot Local Prospects for your Network Marketing Business.One audio CD. Big Al’s MLM Sponsoring Secrets CDs. 12 audio CDs. This audio program includes Big Al’s Word Pictures audio. Big Al’s SuperSponsoring Workshop CDs. 6 audio CDs. When you are ready to get serious about your business, this is the training package you need. Invest in yourself – unless you think it’s a poor investment.